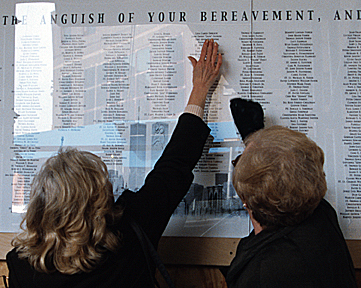 See images of the first display of names at the site of the former World Trade Center. Download a preview file of the complete artwork!!! 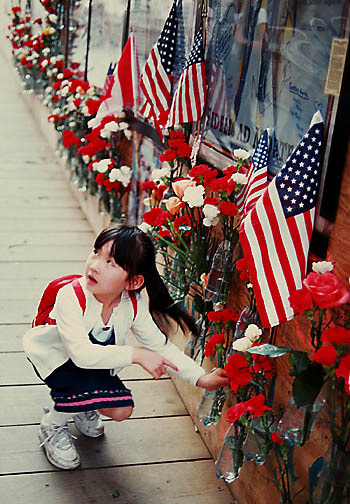 In 2001 ArtAID compiled one of the earliest most accurate listing of names of the victims of September 11th working directly with the World Trade Center Families. Hundreds of corrections to the "official" list have been submitted to ArtAID by family members expressing a preference for how they wanted their loved ones listed. Many changes included adding nicknames, middle names and maiden names.